The wild tweet hit Wall Street at precisely 12:48pm on Tuesday — and things just keep getting wilder. Seemingly out of the blue, Elon Musk proclaimed that he might pull his money-losing Tesla off the market. Taking the electric car company private at the price he touted would amount to an US$82-billion valuation, a monumental sum that left many investors wondering: is this a joke? Musk, the enfant terrible of Tesla and SpaceX, has defied the odds before. But Tuesday’s gambit — unleashed in tweet after tweet over the next two hours and 40 minutes — opened a new chapter in one of the most tempestuous business stories of our time. Indeed, Musk’s initial tweet, sent roughly half an hour after news emerged that Saudi Arabia’s sovereign wealth fund had built a stake in Tesla worth about $2-billion, was the latest in a series of unusual manoeuvres that have thrust the executive into the public spotlight. “The reason for doing this is all about creating the environment for Tesla to operate best,” Musk, 47, wrote in an e-mail to employees. He said wild swings in the car maker’s stock price are a “major distraction” to Tesla workers, who are all shareholders. And he said that being public “puts enormous pressure on Tesla to make decisions that may be right for a given quarter, but not necessarily right for the long-term”. Separately, Tesla, which has picked Shanghai as the location of its new “gigafactory”, is counting on the city’s government to help obtain loans from some of the biggest Chinese banks to fund the planned facility, according to people familiar with the matter. Tesla closed at $379.57, up 11% from Monday. Viewed differently, though, the stock ended the day about 10% below the $420 price Musk said he’d pay to take the company private, highlighting the doubts traders have about his ability to pull the deal off. Most major buyouts also require a trip to the junk bond markets, where Tesla has fallen out of favour. Its inaugural offering of the notes last year fell below par almost immediately and never recovered. The bonds rallied on Tuesday, but at just 92.4c on the dollar, they too reflect investor scepticism. If the deal were to actually go through, creditors would reap — thanks to a clause in the bond contract — a price of 101c on the dollar. “Funding $50-billion-plus for a negative free cash flow business would be difficult, if not extraordinary,” said Joel Levington, an analyst at Bloomberg Intelligence. 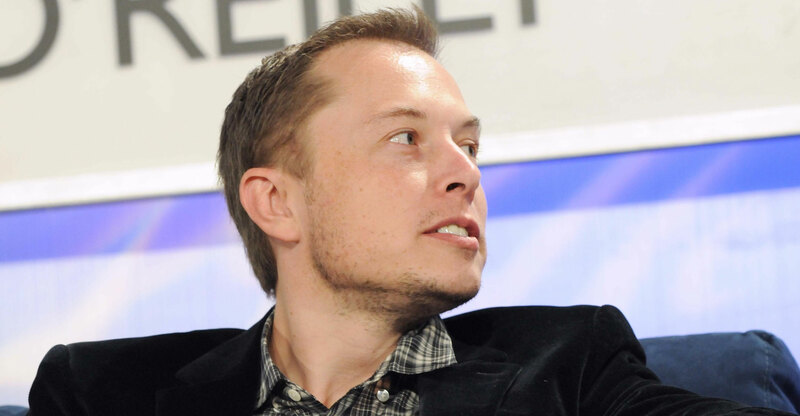 In an interview in January 2015, he spoke of the benefits of running his closely held rocket company, SpaceX, and his frustrations with having taken Tesla public in June 2010. Musk pointed to SpaceX as a model for how Tesla could be privately held. He said in a tweet his hope is that all current investors in the electric car company would stick with it by buying into a “special purpose fund”, and said that this has been done through a Fidelity investment in the rocket manufacturer.